Wayne French is a surf artist from New South Wales, Australia, whose ocean-inspired art has received widespread acclaim. 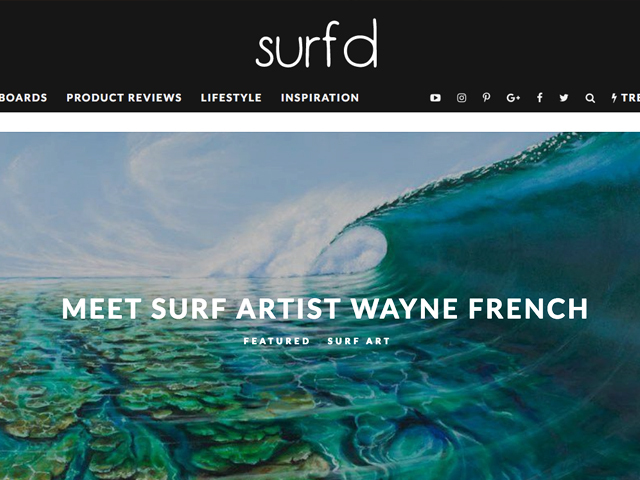 Wayne French is a surf artist from New South Wales, Australia, whose ocean-inspired art has received widespread acclaim. There is a universal appeal in Wayne’s work, each canvas drawing the viewer into pristine worlds that pulsate with nature’s energy. Next time you wish to fill a blank space on one of your walls, consider how one of his creations might bring perfect barrels and cosmic skies into your room. We met with Wayne to talk about surf, art and inspiration…Read more.